For three decades, it’s been the little venue that could. 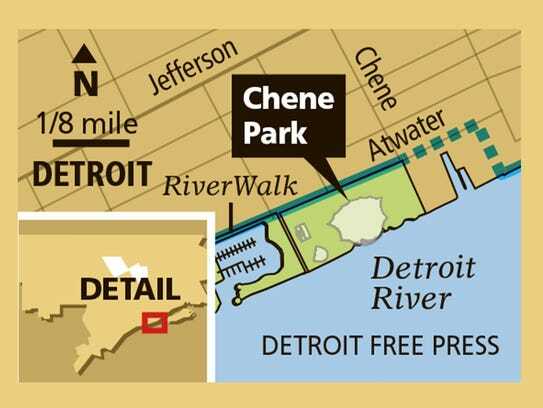 At 6,000 seats, Detroit’s Chene Park is often regarded as the cozy little cousin operating in the shadow of metro-area venues like the Palace of Auburn Hills, Joe Louis Arena and DTE Energy Music Theatre. But as it rounds through a summer branded as a 30th-anniversary celebration, the city-owned, privately managed amphitheater finds itself in a healthy, optimistic spot — enjoying a long stretch of stability, increasingly high-profile programming, and the benefits of a broader riverfront revival. 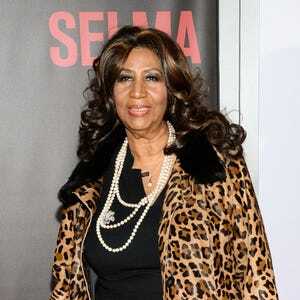 Aretha Franklin will play Chene Park on Saturday night, her first-ever concert at the lush Detroit venue with the lovely river backdrop. She’s the latest marquee act in a prominent 2015 schedule that has included George Clinton, the Roots, Erykah Badu, Gipsy Kings and last week’s groundbreaking pairing of the Detroit Symphony Orchestra and Derrick May. Those A-list shows came alongside the facility’s long-popular Wednesday Night Jazz Series, making up a summer roster expected to draw more than 120,000 by season’s end — not counting the boaters who regularly gather on the river to soak up the sounds. For Mausi, running Chene Park is a family affair. Her four sons, all of them surnamed Mausi, are involved: Sulaiman is general manager, Dorian the food and beverage director, Rashid a marketing specialist, and Malik an assistant general manager. Despite ever-churning rumors about city properties on the riverfront, Bradford said there “haven’t been any discussions about a sale of Chene Park.” When the State of Michigan transferred the riverside plot to the City of Detroit in the 1980s, it held that the property must have a park use in perpetuity, she said. Today the venue has become more self-sustaining. The Recreation Department earmarks up to $30,000 annually for Chene Park, Bradford said. But most other costs — utilities, operations, maintenance work — are borne by Right Productions. “We’ve been here long enough, and developed the business sufficiently, to take on those additional responsibilities,” Mausi said. As Chene Park looks back on a run that has included performers from Ray Charles to B.B. King, this 30th-anniversary celebration is taking a bit of historical license: The park actually opened and hosted concerts in 1984, although a full music series didn’t begin until the next summer, officials from those early days tell the Free Press. 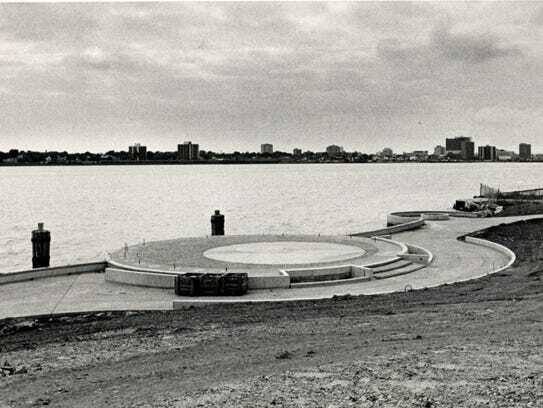 Chene Park wasn’t much of anything when it opened off Atwater Street in ’84, just a green oasis amid its neighborhood’s gray industrial setting. Constructed for about $2.2 million, with an initial capacity of 2,000, the park was part of a plan by the late Mayor Coleman Young to revive Detroit’s riverfront, “envisioned as the urban, Detroit version of Pine Knob,” Mausi said. Under the name Riverfront Music Theatre at Chene Park, the space was steadily upgraded, even going without concerts in 1988 and ’89 before reactivating in the form we know it as today: a venue with permanent seats under a distinctive canopied roof. The state’s transfer of Chene Park’s land to the city included a condition that remains operative to this day: At least 50% of the events on the property must be free or low-cost. Thus was born the Wednesday Night Jazz Series, the brainchild of Mausi, then a Mayor Young appointee to the Detroit Council of Arts. 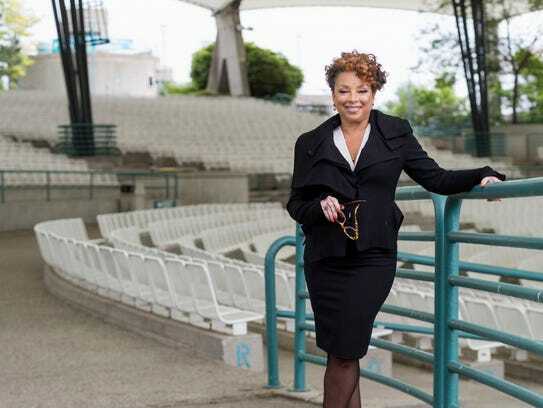 The Wednesday shows, which cater to fans with a taste for smooth, urbane R&B jazz, have been a Chene Park staple for 30 years. The 2015 roster has included Boney James, Will Downing and David Sanborn. The annual series has earned such a reliable reputation among its Detroit audience that many fans buy their $200-plus season tickets before an artist schedule has been announced. The Wednesday series has traditionally gone on sale in early spring, but Mausi and her team are already booking the 2016 season and plan to announce details this fall. Season tickets will go on sale in time for the holidays, she said. With the arrival of West Riverfront Park — home this summer to events such as the Downtown Hoedown — Chene Park is the eastern plank of a three-pronged riverside entertainment bundle that includes Hart Plaza. For Mausi, this anniversary summer has been as much about looking forward as glancing back. As she works to expand Chene Park’s offerings, she views the next few years as an investment and is ready to risk losses on certain shows in the longer-term mission of drawing new audiences to the site.